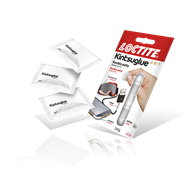 Loctite Kintsuglue is an amazing flexible paste created to fix almost any broken object. 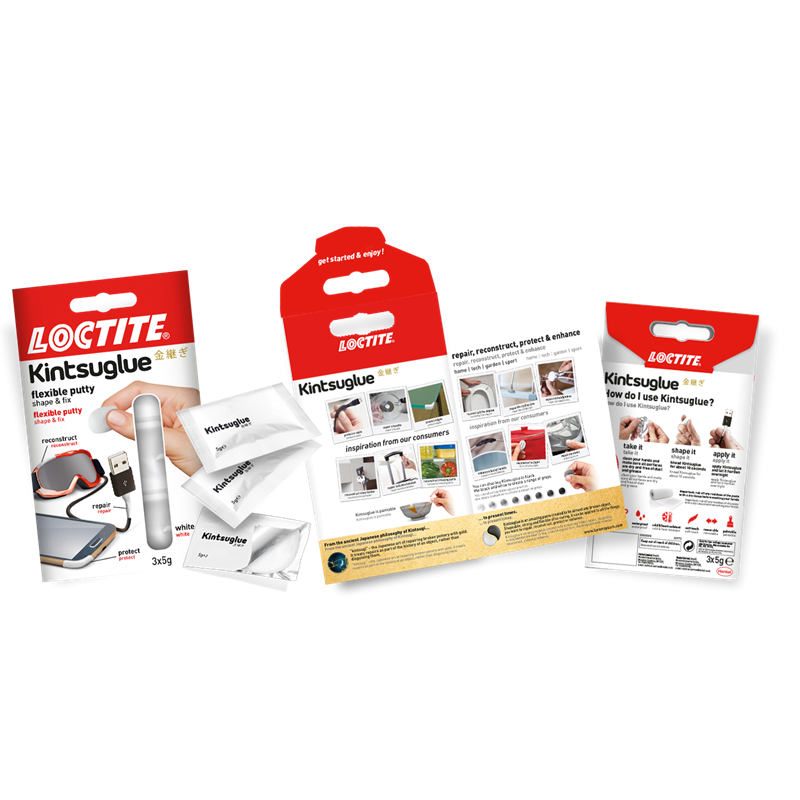 Shapeable, strong and flexible after curing, it can be applied to all the things you want to repair, reconstruct, protect or enhance. 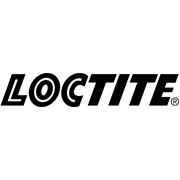 Loctite Kintsuglue will fix most materials from wood, metal, plaster, plastic, ceramic to many more. Not suitable for PE, PP and Teflon. The shelf-life is 18 months when the pack is stored unopened in dry and cool conditions. The paste will cure 2,3mm/24h, remaining flexible after hardening. 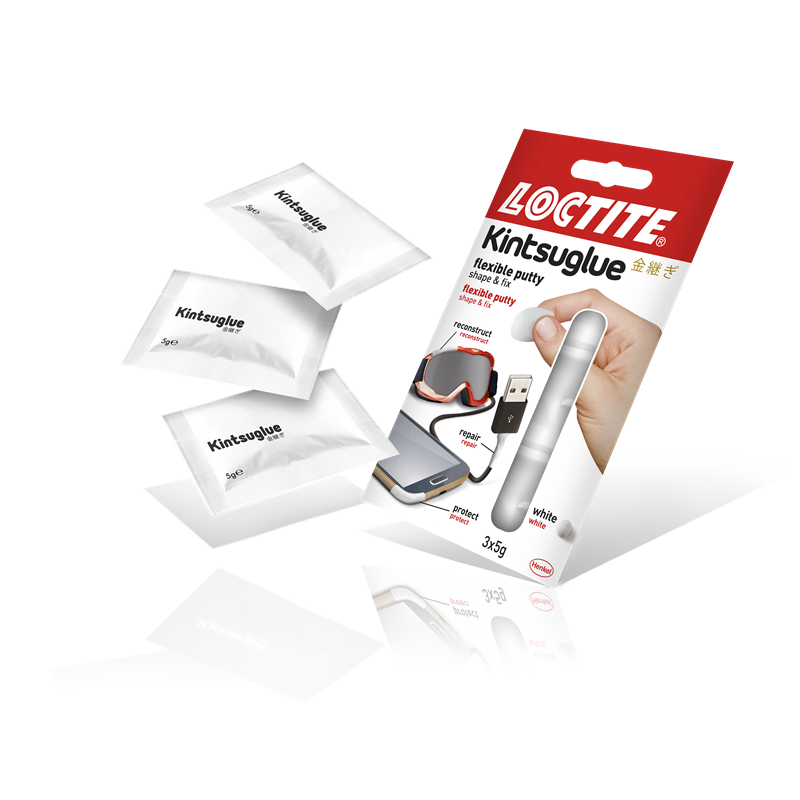 Shapeable - You can give the paste any desired shape before applying. 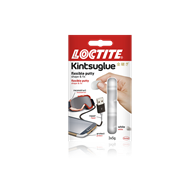 Water resistant - Kintsuglue is water resistant and will easily withstand rain. Additionally, it is also dishwasher safe. Temperature resistant - Kintsuglue is temperature resistant from -40° to +120°C. 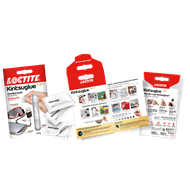 Let Kintsuglue harden overnight to achieve its full strength.